It's not stalking if you have a licence: Coffee and stakeouts. And more coffee. Coffee and stakeouts. And more coffee. (The above is the first of four adverts from an Australian campaign for Riva Instant Coffee). Coffee. It is the stuff investigations are fuelled by. And what is better during a surveillance op at 2am than a steaming cup o' joe? That's a rhetorical question, by the way. But why settle for crappy instant 'coffee' when there are a number of other options out there serving actual coffee, freshly made in your car...? 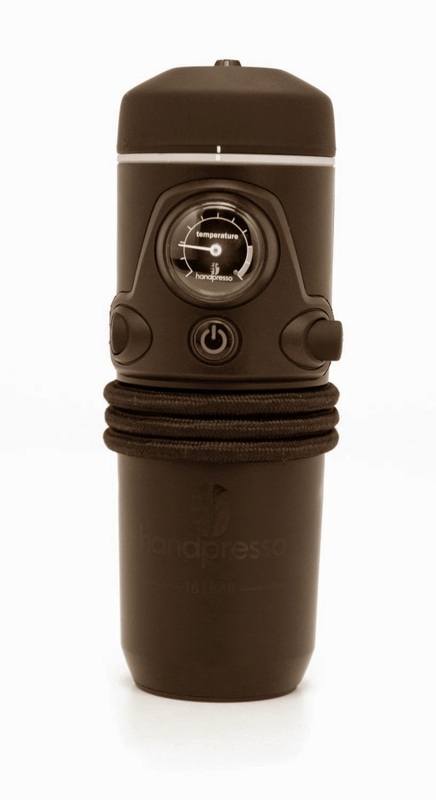 Like the Handpresso Auto, for example. Runs off a 12 volt cigarette lighter and utilises coffee pods for mess-free caffeine goodness, although I understand there are other models that can use fresh grounds if you are that way inclined. Some online reviews bemoan the fact that it takes a few minutes to heat up the water and, coupled with a small reservoir (53ml/1.8 fl. oz. ), don't expect to be making big mugs of espresso with this device. Anyway, I'm sold on the idea and probably will order one soon.